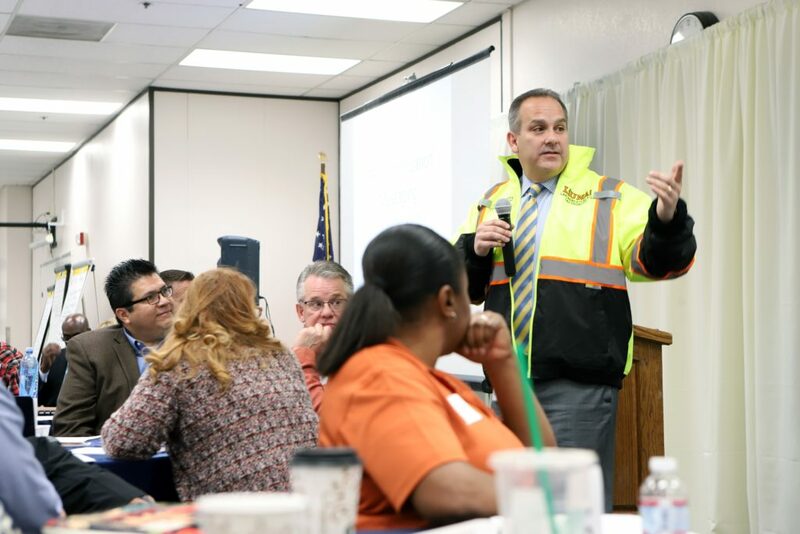 On January 30, 2019, the Clark County School District (CCSD) and Workforce Connections held a summit with local labor unions, education leaders and businesses to develop new partnerships that will create a pipeline for students to enter into trade apprenticeships. About 73 percent of Nevada high school graduates do not go to a four-year college or university, and the partnerships will provide more options for them to enter into stable, profitable, high-need skilled trade positions. “This will be a game changer, not only for our children but also for our community,” said Superintendent Dr. Jesus F. Jara. “As the convener of the workforce development system, we support Dr. Jara’s vision because the talent pipeline for apprenticeships begins in K-12,” said Jaime Cruz, executive director of Workforce Connections. “Today’s summit represents the most progress made in decades to provide CCSD students with a pipeline from K-12 education into profitable trade jobs,” said Tommy White, secretary-treasurer and business manager of Local 872. “Labor stands with the superintendent on this,” White added. “We’ve never had this participation or involvement from a superintendent who sees the need for this,” said Jeff Proffitt, business manager for Sheet Metal Workers 88. Streamlining access to the classroom for trades to provide a first-hand perspective of the benefits of working in the skilled trades. Participants in today’s summit discussed the stigma that students and parents sometimes have about entering into skilled trades. Some parents prefer for their students to go straight to college. White remembers driving around New York City with his grandfather, who pointed out all of the buildings that he had helped construct. White hopes to make that same pitch to students in Clark County to join the skilled trades. “It will give them a sense of pride that they are part of building Las Vegas,” White said.